Abstract: Figuring out the scope of a project property in a Gradle build can be confusing at times. In this very first issue we look at different options for defining project properties and reading their values. Welcome to the first issue of my newsletter! The goal of this newsletter is to share tips and experiences gathered while working on both commercial and open source projects across the years. Let’s get started! 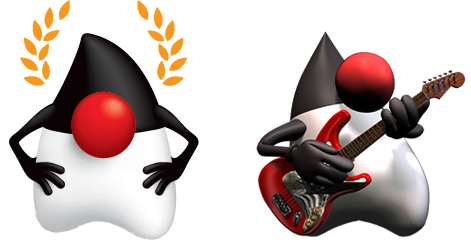 Java has no shortage of all kind of projects, in the build space almost everyone has encountered Apache Ant or Apache Maven in way or another. Some years ago a new upstart broke into the build tool scene, Gradle, chances are you’ve encountered a couple of times already. I’ve been a user of the Gradle build tools since the early days, I must say it’s been fun and quite rewarding to see the evolution of the tool across the years. In a very basic and simplistic way, Gradle builds on top of the ideas brought by Ant and Maven while delivering more bang for your buck so to speak. One of the early decisions of the development team was to create a build DSL using a real programming language (Apache Groovy) rather than following its predecessors in leveraging XML. This decision has paid dividends as it’s quite easy to extend a build process with custom code on the go when the need arises. But there are some issues that appear from time to time, some of the tied to the usage of the Groovy language due to the way scopes work in Groovy scripts. Let’s have a look at a common issue I’ve found across different teams: handling of project properties. a file named gradle.properties, local to the project. a file named gradle.properties, available to all projects at ~/.gradle/ (%USER_HOME%/.gradle on Windows). on the command line using the -P flag. using the ext block inside the build file. Executing the build once more should result in “build” being printed out to the console. What happens if you attempt combining this new build with a command line flag? Give it a try, invoke the previous command where the foo property was defined on the spot using -P. Did you get the expected result? This is where some people are left with their head scratching. Half would expect the build to print out “command” while others would guess “build” to be the correct outcome. What’s going on here? It looks like all external definitions are taken into account first then the build file’s go in. It kind of makes sense given that the build tool must follow a certain evaluation order, with the build script itself being last. Execution failed for task ':printIt'. > Could not get unknown property 'bar' for root project 'foo' of type org.gradle.api.Project. Uh oh, something went wrong. It looks like the mtd_printBar cannot read the value, the exception message gives a hint at what happened. It appears the method tried to read project property named bar but we know that it’s actually a script variable. To understand what’s happening one has to be aware of the differences between closure and method invocations in Groovy, most specifically how the closure delegate works. Each closure in Groovy has a read/write property named delegate, which can be used to alter the behavior of the same closure instance across multiple invocations. By default a closure’s delegate is set to match another read-only property of the closure, the owner. This is the instance that owns the closure, in our case it’s the build script itself. Next, the Gradle build tools sets the closure delegates to match the Project instance. When the cls_printFoo closure is executed it attempts to resolve the reference to foo, and finds it in its delegate, the Project, thus it succeeds. When the cls_printBar closure is executed it attempts to resolve the reference to bar, failing to find it in the Project properties it turns out to the script and finds it as a variable. Now, when the mtd_printFoo is called it’s actually invoked on the Project itself, thus the reference to foo is correctly found. But that’s not the case when the last method is invoked. You see, a method defined on a script is the same as any other method defined anywhere else, that is, methods don’t understand the concept of owner and delegate, thus it can’t reach out into the script’s variables. That concludes this issue. Thank you for reading. Any feedback is appreciated.